Use real-life workplace documents and tasks to assess your learner’s reading, document use, writing, and numeracy. Trained assessors can administer a CAMERA Placement test to identify a person’s needs and the Stage tests at set intervals to give learners an opportunity to demonstrate skills and see progress. Take a comprehensive look into the CAMERA System. The Communications And Math Employment Readiness Assessment (CAMERA) System allows you to assess and develop a learner’s abilities to manage workplace communications and numeracy tasks. 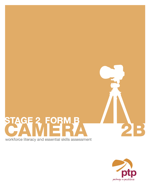 You can use CAMERA to assess the skills that your learners have and those that they need to work on. The CAMERA tests are a critical part of the CAMERA System, a set of cohesive resources that can be used to support learners engaged in upgrading. They are the heart of the CAMERA system. CAMERA tests are standardized, which means they must be administered according to set procedures. When these procedures are followed, assessors can be confident that test results are a fair and accurate reflection of learners’ skills. You must be trained assessors to administer the tests. How does CAMERA fit with the Ontario Adult Literacy Curriculum Framework? E-training offers the opportunity to complete CAMERA Assessor training online, at your own pace during those ‘in-between hours’. The first course introduces you to CAMERA and allows for decisions on whether or not you are the right individual to become a CAMERA Assessor. Upon completion of the second course, participants complete one Placement and one Stage assessment that is marked and reviewed by the CAMERA Trainer, and certification is granted. Assessors attend a two-day, in-person training course. Training includes an introduction to the CAMERA System, review of all test content, opportunities to observe the administration of assessments, and occasions to score learner-generated assessment samples. 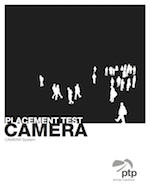 Get answers about CAMERA training and becoming a certified CAMERA assessor. PTP Compass is a social enterprise and a division of PTP Adult Learning and Employment Programs.